My daughter and I like to plan a girl's night at least once a month. She's really into party planning and of course, each night we plan has to have a theme. Our last girl's night a Frozen theme movie night, which included a whole lot of play time, a round of bingo, Frozen-inspired treats, and of course watching the movie! 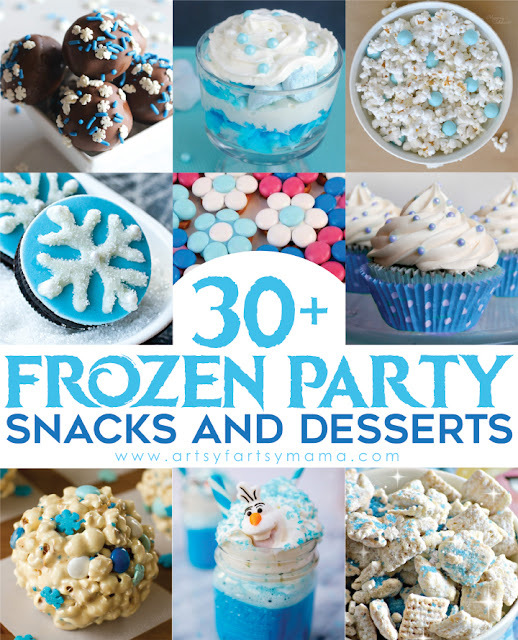 We had a lot of fun, and I think if you are planning your own Frozen party or girl's night, these Frozen movie night party ideas are sure to help! A big part of our girl's nights is to include time to play! It's a fun time for us to spend time together and use our imaginations. So, whether you're looking for gift ideas or just new toys to play with, I've found some really fun new Frozen dolls and playsets from Hasbro that any Frozen fan is sure to love! 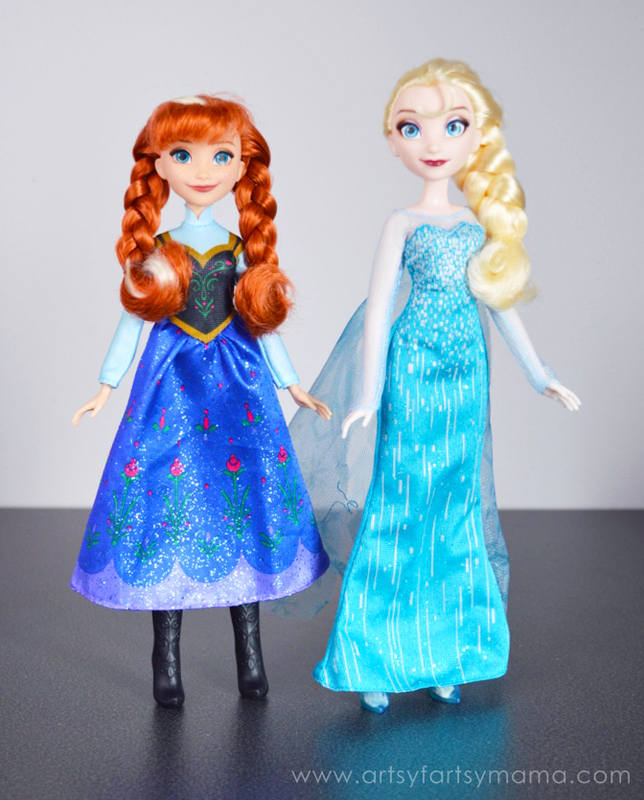 My daughter has such a great time reenacting and creating new adventures with the Disney Frozen Anna and Elsa Fashion dolls. I'm also impressed with the newly designed movie-inspired features and fashion, including removable shoes and sparkly dresses! Any little girls out there who love dolls will definitely enjoy these two. 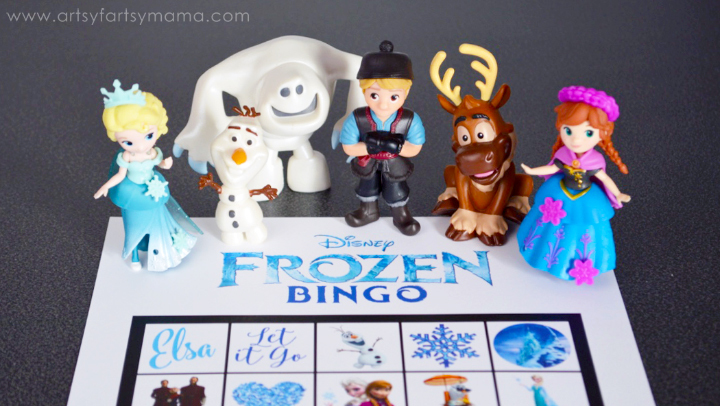 Frozen Friendship Collection is an adorably sweet play set including everyone's favorite characters from Frozen. Anna, Elsa, and Kristoff dolls have moveable legs that can sit or stand. It's so fun to put together different fashion combos with Anna and Elsa's removable outfits - each including a bodice, skirt, peplum, and cape and mix-and-match Snap-ins. 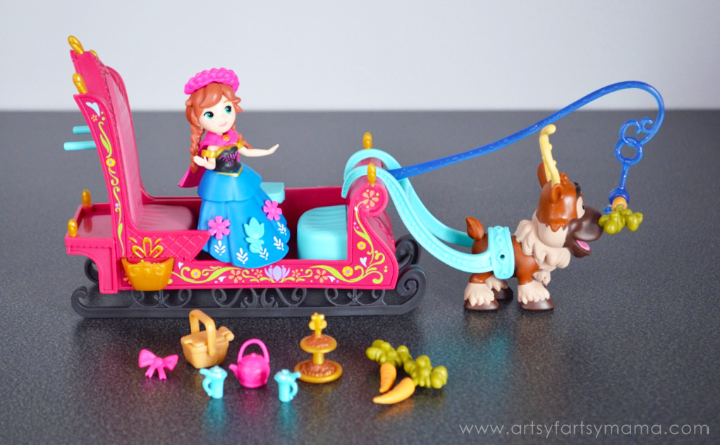 Frozen Sleigh Ride set includes Anna in her travel outfit with removable bodice, skirt, peplum, and cape and mix-and-match Snap-ins. Pack treats on the back of the sleigh, sit Anna down, and attach Sven to the front with a carrot dangling in front of him to go on adventures from the movie and your imagination! You can find these dolls and playsets at most major toy retailers nationwide and on HasbroToyShop.com. Of course, every party needs food, right? I've put together a roundup of OVER 30 Frozen-inspired snack and dessert recipes that you can snack on while watching the movie! If you've been visiting this blog for long, you will already know that one of our favorite go-to party games is bingo. I have designed a free printable Frozen Bingo for you to play and really get excited to watch your favorite characters on screen! Another fun idea is to play this bingo while you watch the movie and mark off the boxes as you see them in the movie. 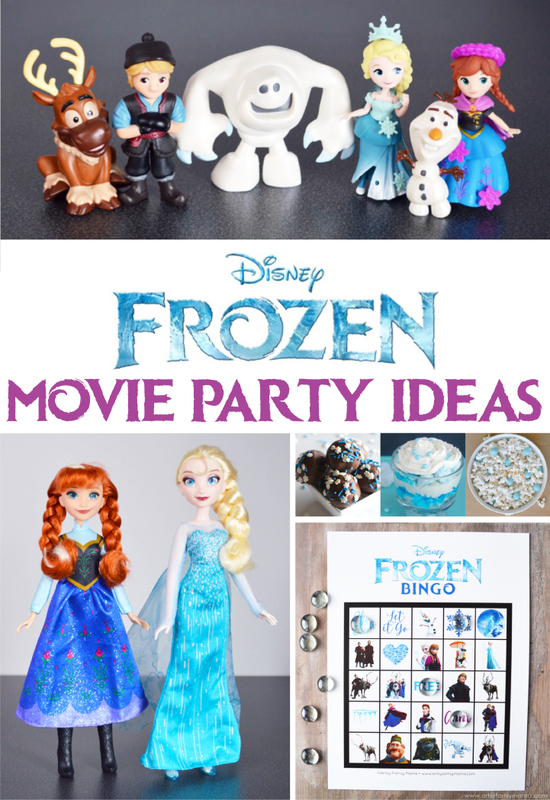 I would love to hear if you have your own Frozen party and/or movie night and always enjoy seeing you share pictures of using my printables on Instagram (use the hashtag #afmprintables)!! BIG thanks to Hasbro for the products featured in this post. All opinions are my own. Sharing this with my sister, my niece would die for the sleigh ride toy! Not to mention all these great Frozen project links. My Frozen obsessed kiddos would love these ideas! Too cute! Those are such cute dolls! My niece would die for them. I'll send my brother these ideas for her birthday!! So fun! My son still loves Frozen and is excited for the sequel! Love these ideas, and you're free printable is SO fun!